Yesterday, March 15th was what I call my “Knowledge” birthday. 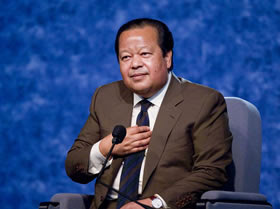 On that day in 1972 I was taught some simple but wonderful meditation techniques by my spiritual teacher Prem Rawat (Maharaji) which have been my anchor throughout my life. The teaching is very simple and doesn’t clash with any religions or promote a particular lifestyle but just shows a way to connect with your own inner self. When I practice it regularly it gives me genuine inner happiness and peace and whatever’s going on in my every day life it provides a constant point of reference. So thankyou Maharaji for enhancing my life and giving it real purpose. Well I didn’t do my second Monday blog because I was in London staying with my son and visiting friends for a few days. Before I left, on Saturday night I went to an acoustic, benefit gig for a sick woman who’s raising money for treatment that’s not available on the NHS. Apart from the fact I got absolutely drenched walking to the venue (I literally had to wring my trousers out!) it was a fun night out. After the gig, a friend I’d met last year at a festival came back to my place for the night so we chatted and played guitar into the early hours. Sunday morning, I drove to London to spend time with my son before I go off to Africa next week. In the evening he’d organised a dinner party of loads of his mates – he lives in a big warehouse and sitting round the table were young people from Poland, Venezuela, Cuba, Columbia, Hungary, South Africa, France, Italy, Australia………plus of course a couple of Brits! That’s what I adore about London – the diversity is wonderful. Mostly they’re artists, photographers, musicians and creative people in general and we had a really interesting evening – very Bohemian I guess you’d call it. On Monday we went to the Tate Modern and I managed to get a few pictures though you’re not supposed to take them. It’s a mystery how they’ve done this crack – I don’t know if it’s art or not but it IS fascinating though lot of people have broken their ankles in it! On Monday night, we went to the launch of a new small venue in Tottenham – these gorgeous girls were the welcome party! It was also a planning session for a local carnival and my son and pals are going to take a float for the parade. My son flew off to Amsterdam on Tuesday morning to see his girlfriend and I went to spend a few hours with a really old friend of mine and then drove back to Bristol in time for drumming and the Presence Open no mic night! Today, I’ve been at songwriting group and tonight I have a practice. Tomorrow I’ll concentrate on making sure I’ve got everything I need to take to the Gambia – they need various things for the project I’m going to be working at and it’s important to take the right first aid stuff etc. Anyway —————– that was a monster post so expect nothing more for a little while!! As promised, a short post about today’s drumming at the Watershed. The event was to celebrate 50 years of the organisation VSO (Voluntary Service Overseas) linked to International Womens Day. There were over 200 people there – many of whom had themselves done VSO in the past going back to the 50s. We played for about half an hour to open the session and it went well. We played some things we’d practiced as well as some improvised stuff. I gave my camera to someone but she only took one pic of us playing and most of the rest were blurred! Never mind – here’s a pic of our group Sul Beat and of the cake! He had a violinist/viola player with him and a bass player and they played a wonderful set – he plays guitar with a great gift of rhythm which echoes of ancient percussion. He has the most unique voice spanning a great range and marvellous lyrics. I really think he’s one of the best things I’ve seen in a while. He’s an American singer songwriter currently living here in the UK. I feel so privileged to get to see so much live music. The Tuesday sessions are amazing – you see complete beginners to really polished acts – but all are respected and the people really listen – I love playing there. Sarah Joy, the woman who runs the evening is a really good singer songwriter as well. Today I went to the songwriting group and this evening I had a practice with Paddy (keyboard player). We have a gig on April 18th here in Bristol. By the way – did I tell you that I’m off to the Gambia on Mar 18th for a couple of weeks. I’m going to do voluntary work at the WYCE project, attend the Kartong Festival, do a live radio interview/set and then have a week’s drumming lessons with Modou Diouf. I’m so excited – I haven’t been away out of the country for ages. As I’m often too busy to blog on the weekends, I thought I’d start a regular Monday blog to report about whatever gigs, happenings, excitements or trivia that have occurred to me since Friday! Hopefully this will become a regular spot so they may be longer posts than usual! I’ll report on Bristol things or festivals if I’ve been at them. Got off to a bad start – I attended a Music Lab, run by one of my drum teachers in the morning only to find it was cancelled due to lack of interest….extraordinary because it was a great opportunity lost to make music with a really talented teacher. In the afternoon I had a practice scheduled with a guy who plays drums and harmonica – cancelled due to his poorly self (mmmmm what’s wrong with Saturday so far)! I made a homemade Pear Cake in preparation for Mother’s Day on the Sunday but the day didn’t start properly till 9pm when I went out to the Kuumba Project in St Pauls to a great Latin night called “If I Can’t Dance It’s Not My Revolution”. What a stomping night. The first band was called El Mercado de Miran fronted by a very talented female singer/percussionist – it was a small line up but really good consisting of a keyboard, cajones (kind of beat box), a guitarist and the singer. The sound engineering was awful which was a shame as the musicians were brilliant. Finally, well known Bristol band Orquesta de Montpelier did their thing and the whole crowd danced till 2am – the heat in the room was almost overpowering but the music made it impossible not to dance till you dropped. Me after dancing for about 4 hours! Sunday was Mothers Day in the UK so I had a lovely afternoon with my mum (eating the yummy cake which I so rarely bake ha ha). Last night I played at the open mic at the Tantric Jazz Cafe, my usual Sunday night haunt. It went well and I sold a CD to someone as well as got a chance to play several songs including a piano piece, as they’ve got a keyboard there now. OK – that’s my weekend – just a snippet of the rich musical life in Bristol every weekend.